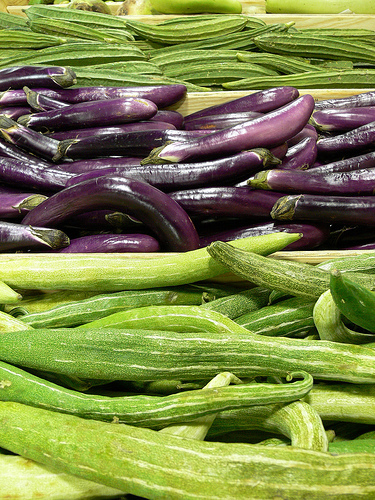 Snake gourd to me is a very peculiar type of vegetable. Its white and green stripes and more than 2 feet in length, it really looks quite similar to the reptile from which it has taken its name. Cut the snake gourd lengthwise into two equal halves. Chop the halves into thin semi circles and remove the seeds if any. Add ginger paste, turmeric powder and season with salt. 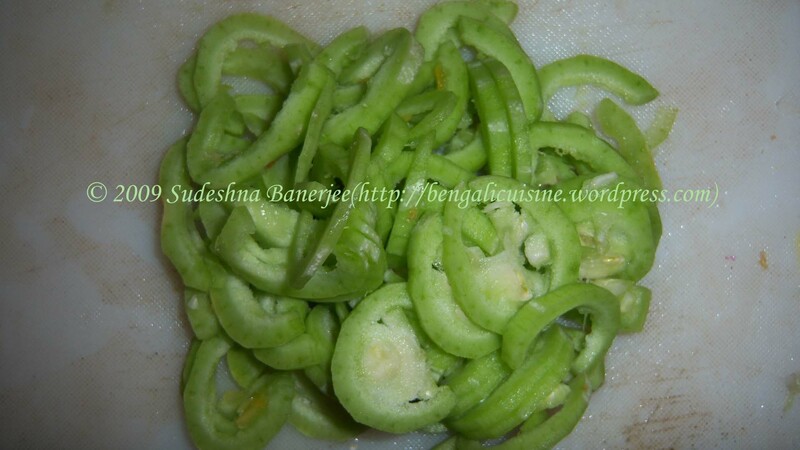 Snake gourd curry is a good side dish for rice and roti both. The cooking time may vary depending on the age of the vegetable. Look for more updates here till then Happy Cooking and Happy Eating. 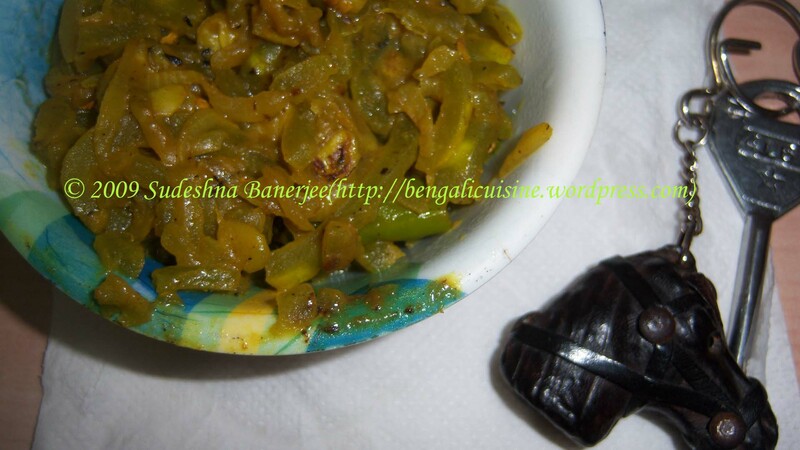 This entry was posted on January 23, 2009 at 3:43 pm	and is filed under Niramis(Vegetarian), Side dish. Tagged: bangla ranna, bengali ranna, chichingha, curry, dhunduli, paduvalakaayi, padwal, tarkari. You can follow any responses to this entry through the RSS 2.0 feed. You can leave a response, or trackback from your own site.